Finished the painting from the October 3rd. After another 3-hours session, I felt enough of her was captured to call it a finished painting. To know when the painting is done is always a challenge. Because her suit and scarf are vivid in color, I'm afraid any more detail will make the painting tacky. The paintings that have almost unfinished look are so much more interesting than meticulously worked and perfected pieces. 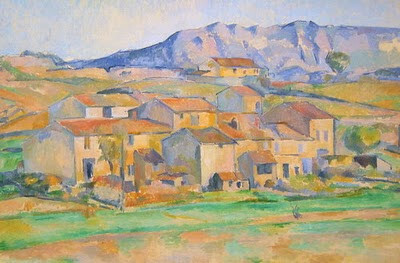 Many of Cezanne's works are like that. His loose brushstrokes and visible ground are so interesting to look at.